Castle Brook Builders wants to build a home that is perfect for your family—and help make the home building process easy and enjoyable! From the first design and planning meetings to the last walkthrough, we are your Omaha homebuilding partner. We’ll help you with the tricky parts and guide you through all of the decisions along the way so you can celebrate moving into the home of your dreams. Our free, downloadable eBooks and guides help you learn more about our process, get answers to your homebuilding questions, and find design ideas for your own dream home. Learn more about what’s happening to the general price level of building materials. The index, updated monthly, is based on the material required to build a 2200-square-foot, 4-bedroom, 2-story house and includes framing materials, hardboard siding, 30-year laminated roofing, vinyl casement windows with Low-E glass, interior oak trim, doors, and hardware. Learn more about what a sediment basin is, and why they’re a necessary part of the construction process. Our free custom home process guide covers the basics of our 4-step design-build process. Learn how we gather design ideas, customize plans, and transform them all into the home of your dreams—and why our process is better than the traditional homebuilding practices. Designing your own custom home allows you to incorporate custom touches and stylish trends into your design to make it uniquely yours. This guide has tips on how to design modern master suites and living areas, incorporate today’s design trends without compromising the timeless value of your home, and help your new home be eco-friendly. You’ve got questions? We’ve got answers! 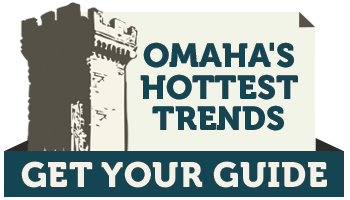 Castle Brook’s experienced Omaha homebuilding professionals answer 10 of the most frequently asked questions from prospective homeowners. Ready to get started? Contact us to talk about how easy and affordable designing and building your own Omaha custom home can be!